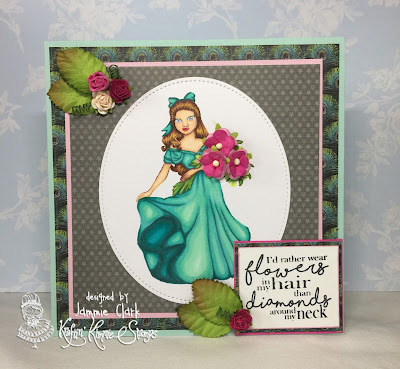 Welcome to Day TWO of our May Krafty Peeks at Kraftin' Kimmie Stamps! 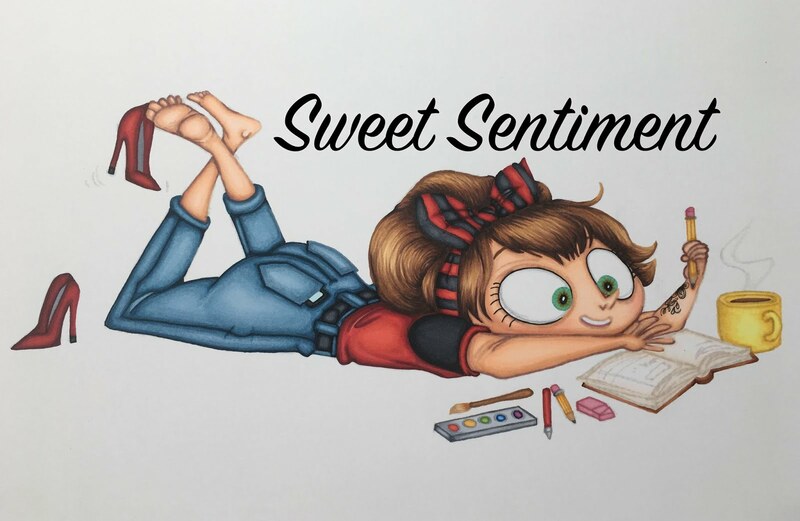 I am thrilled to share some gorgeous artwork from one of our amazing design team members!!! 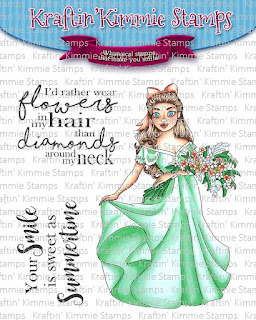 Today's stamp set is from artist, Jasmine Turandar! I colored her up using my BG markers from Copic and added her to some DSP from Graphic 45 and doodlebug. I added some flowers and leaves from Wild Orchid Crafts and I was done! I wanted this to be a fairly simple card because I really wanted to showcase this amazing Image from the wonderful Jasmine! 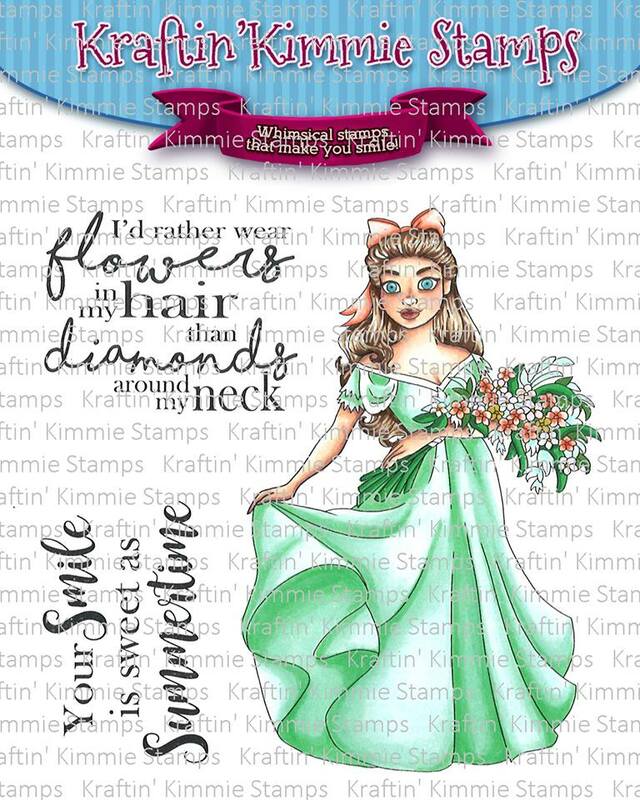 All the Krafty Team and Guests listed below have lots of beautiful creations to share with you today featuring the SUMMER AVIVA stamp set from Jasmine! You'll see her in so many different colours and designs!! Be sure to hop around and leave lots of love at each and every stop because one lucky commenter will WIN a gift voucher to the krafty shop! The winner will be announced at the LIVE Online Release Party on Saturday at 2pm EST, so be sure to join us for all the krafty fun! Love how you added the flowers to the bouquet and the dress colour is awesome! I love the dimension in this card! that match to those in the corners. Gorgeous and elegant! Love the 3-d flowers in her bouquet!